The below is my google plus account. At this moment, beside regular status update and social network. I do use it more toward imaging sharing compare to facebook. Beside, I find that the quality of images here are much better compare to facebook. 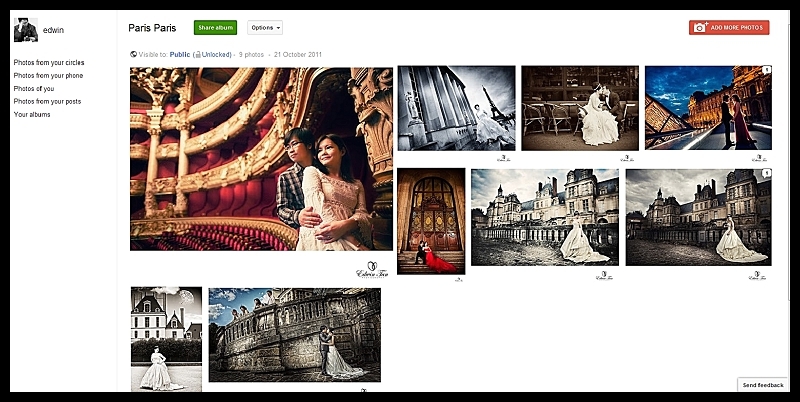 Of course FLICKR is still my first choice.. but here, in google plus, there are so many professional photographers updating their latest images.. it is just like a vitamins or daily supplement to me when I browsing those stunning and amazing images everytime I enter..